With a glass of gin on one side and a box of tissues on the other, this is undoubtedly the hardest post I'll ever write but it is the most important. After two and a half years bravely battling Ovarian Cancer, my mum passed away peacefully on Friday morning. Cancer really is the cruellest of diseases: it takes someone who is full of life and reduces them to a shell of their former self. We are well aware of families who have been given weeks or less after a diagnosis, and so are incredibly grateful for the time we've had; time we've spent on family holidays, reminiscing about good times in the past, and being there for each other through gruelling treatments. We spent mum's final day laughing, joking and thinking of all the good times, in amongst the tears. She knew it was her last day and the team at St Barnabas hospice ensured it was the perfect send-off, if there ever is such a thing. I've spent a lot of my life being known as "Janet Sharp's daughter"; something which at one point I resented but I quickly learned it was a badge to wear with honour. She was a respected school leader in West Sussex, taking on multiple failing schools one after the other and turning them around, dabbling her toes in the world of OfSTED inspecting (don't hold it against her - it didn't last long) and gaining a string of teachers who moved school with her to continue to be led by her - many of whom have been a great force of strength and support to us in her final days. Even after receiving the diagnosis she went into schools and spent days supporting the leaders, remained as the trustee of an education committee for a long time and generally continued making a difference. It would be impossible to tally up just how many children's lives she has affected directly or indirectly. 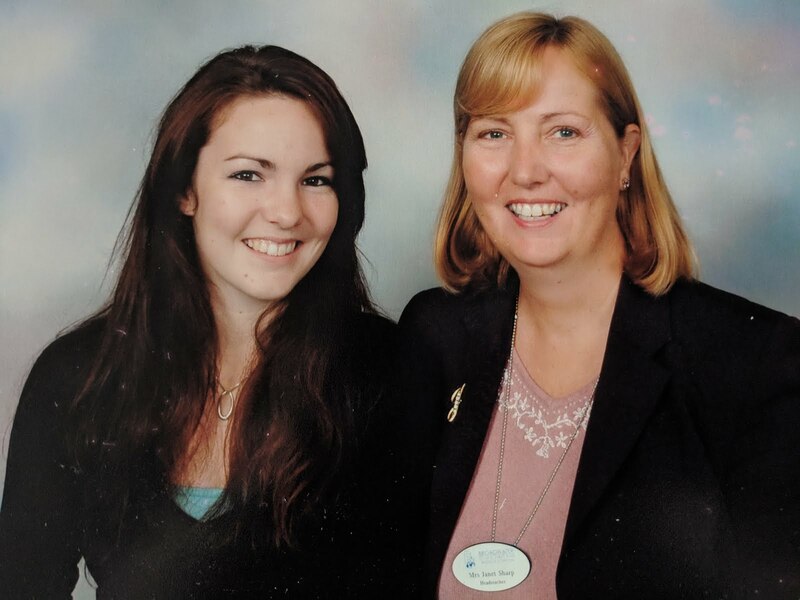 She started off as a secondary maths teacher, despite having a geography degree, and was part of a department who all reduced their contracts to 4 days a week to avoid any colleagues being made redundant. She taught in a few local schools, including the one my sister and I attended years later, before falling into acting-headship. With a taste of school leadership, she then found herself as head teacher of a string of schools before consulting in lots of West Sussex schools, including my former school. All the while, being a trustee for multiple organisations: a church, a residential centre, an education committee, and being heavily involved in the NAHT. This was all alongside looking after dozens of foster children in the family home for 15 years. Supported by my patient and servant-hearted dad, she really was a force to be reckoned with. Mum's mum had been a teacher so education certainly runs in the family. However, it wasn't clear cut that I'd end up here from the start. My plan after A Levels was to do a business management degree. I don't remember telling mum that I wanted to be a teacher instead, but she always remembered it so clearly. From the age of 11-18 I was at Christ's Hospital - a charity boarding school which is fully means-tested. Many pupils' families were far away or abroad so we didn't go home very often - it was very rare that our parents came to visit randomly. Apparently one weekday when I was in my final year (aged 17), I rang mum and told her I had some important news so could she come up on Saturday and take me out to Wimpy in Horsham (our normal leave-weekend routine but this wasn't a leave-weekend). I remember none of this but mum always said she spent the next few days stressing; she was convinced I was going to tell her I was pregnant!! Apparently I was very bubbly and seemed fine when she arrived to take me out, and I had said nothing of any note at all so, part-way through our Wimpy meal, mum reluctantly asked what it was I wanted to discuss with her. "Oh - I've changed my uni plans and decided I want to become a teacher. I hope that's OK?" was my response. I'll never know how she actually felt about the news because she was just so relieved that her prediction was wrong! There are lots of things mum will miss over the coming years but I'm so glad she got the chance to read Making Every Primary Lesson Count in its early stages and to see it published. She wasn't well enough to attend the Teaching Awards ceremony but I'm so pleased she got to experience that time of my life. In her final few weeks, mum had the opportunity to visit my new school where I started as Deputy Head Teacher in January and to see the hospital where my sister was working. She visited all my schools and showed an interest in everything education, always asking my husband and I about changes in our schools - she even wanted to know our SATs results in her final few days! She has been the inspiration behind so much that I've done in life, as well as in education, and I'll forever be proud to be known as Janet Sharp's daughter. And, mum - I'll endeavour to pace myself...as much as possible! 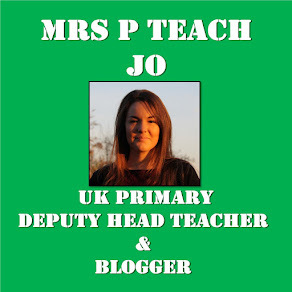 as a TA in the school where she was Head Teacher in 2007. Wonderful post Jo. Your mum’s legacy will continue in many places and she will continue to be carried by many of us in our hearts and minds. Would love to know the details of the celebration service. You are truly a chip off the old block. I found your mum's final letter to us all a complete inspiration as I did her ability to always strive for and achieve the highest possible. But her advice to make the world a better place for someone is absolutely right. If it's any comfort to you, I live my life in the shadow of my sister and am constantly referred to as Joy's brother. I've come to regard it as a huge compliment. As I know you will being thought of as Janet's daughter. Be kind to yourself and Matt. Never lose your spark, lack of cynicism or your vision. And continue to be a magic weaver in whatever you do. Your post was wonderful. Your Mum was one of the best, truely inspirational and the kindest person I have had the honour to meet, and her legacy will live on through those young people who have been lucky enough to have known her. I send you, Abby and Peter thoughts and prayers as you tackle this very difficult time. Please let me know details of the remembrance. A brilliant and fitting post. Your mum would be proud. So sorry to hear this. Janet was just lovely.